Much information regarding the old Nashville & Northwestern Railroad is scattered at best. It is our hope that this website will bring all research together for a comprehensive history on this important Civil War Railroad line. 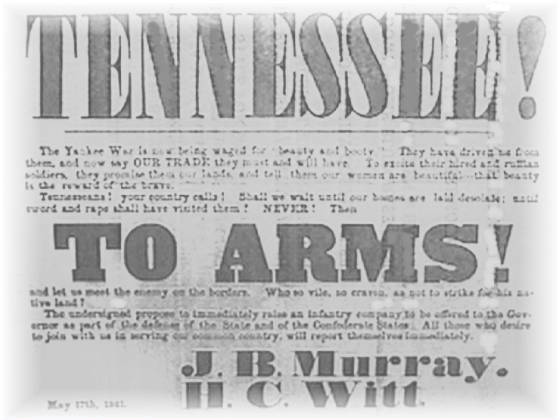 Thanks go to Fred Prouty, Military Sites Preservation Specialist with the Tennessee Historical Commission, for information on the Nashville-Northwestern Railroad and the various sites along the line. Many of the period photos were supplied by the Tennessee State Library and Archives and are also on file in the National Archives. They can be viewed in James Hoobler’s book, Cities Under the Gun: Images of Occupied Nashville and Chattanooga, 1986. Special thanks to Rick Hollis of the Dickson Co. Historical Society for his efforts to help publish "In Service To A Cause" brochure so visitors & locals alike will learn little known facts as to what happened in our back yard. Other info & photos are from private collections & we are grateful to all those who have submitted & shared info in order to help educate the public on events of local interest during this time of our history.